Last night the class enjoyed Galloway House, Sunshine and Sweetie’s Jig, The Tri-mariner, Lady Lucy Ramsay, The Priest and His Books and The Silver Grey. 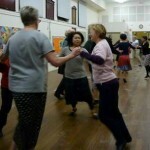 Dancers from all over NSW and Canberra attended Petersham Town Hall to enjoy an Afternoon Workshop and Evening Social with Mara Dobrini. Welcoming a few visitors – Jonathon and Rosemary dropped in to dance with us and baby Alex paid us a second visit. The dances were Cutty Sark, The Zoologists, Far North Queensland, The Recumbent Stone (Alex’s first strathspey), Rougemont Castle and Pelorus Jack. 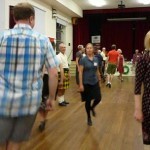 We had a varied night at SoTR last night, some step practice, some polishing of formations and danced some interesting dances – Highland Fair, The Ravens’ Dance, Golden Years and The Mathematicians. 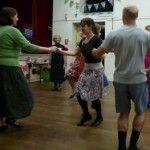 We welcomed another visitor, Gillian from the UK, so good to dance in an area which attracts lots of visitors. 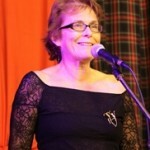 The dances were The Brudenel Jig, Best Set in the Hall, Drumelzier, Mary Erskine and The Reel of the Puffins.